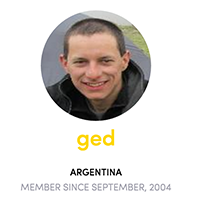 In almost 15 years exactly, the Topcoder Community has reached an epic milestone – we have reached the two-comma club! 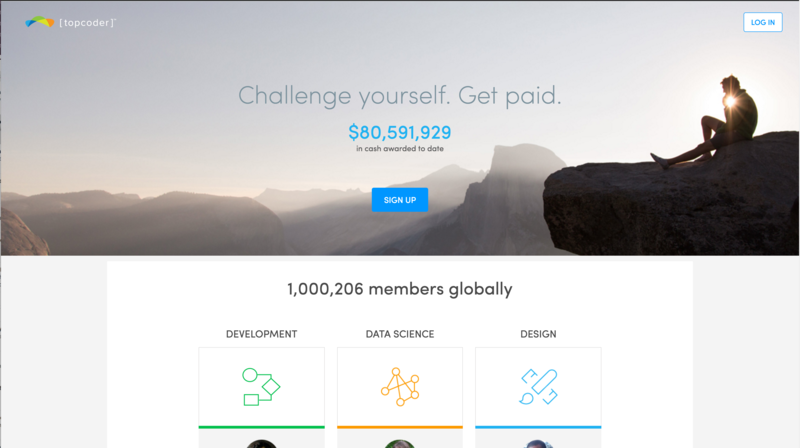 That’s right, our member-base has reached the 7 digit mark and we now have over one million Designers, Developers, Data Scientists, and Competitive Programmers! As for my story, although I started working here at Topcoder one year ago, I was a customer of the platform for two years prior. My favorite memory was the first time I walked into the doors of TCO 2013 in Washington DC. It was like I stepped into another world and thought these types of coding competitions only looked like this in the movies. I was absolutely hooked and did not want to leave the arena. 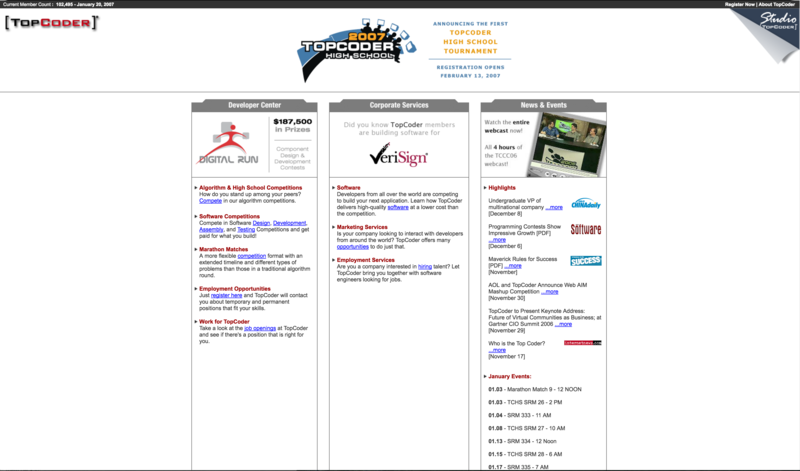 To this day I understand why there is so much passion in the Topcoder Community and I am addicted as well! Over the past couple weeks with the inevitability of hitting 1 million members, we had aggregated stories and favorite memories from you, the members, as well as some of the Topcoder staff. Continue reading for a walk down memory lane! My favorite moment, which is still so alive in my memory, is first entering the TCO arena in 2013 and seeing the other finalists and Jessie in person. It was like an awesome dream. I am so glad that I also have an actual picture of this moment. I thought I could share two memories. 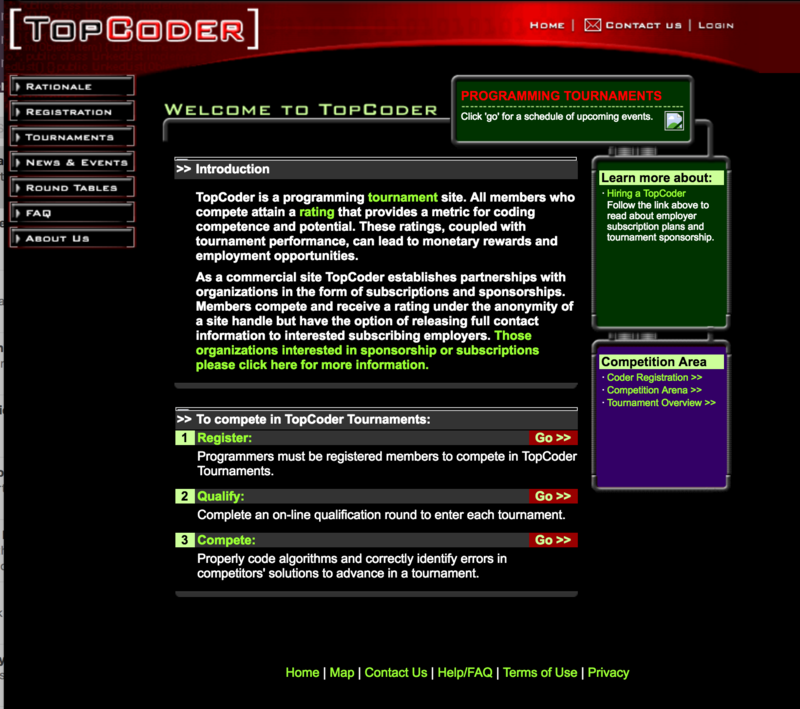 The first spans for a couple of years: Those days when my friends and I discovered Topcoder and started competing for fun. We were all programmers at an office without a boss around most of the time, and I remember some of us setting aside some time, a big “do not disturb” sign on top of your monitor, headphones playing Nightwish to block noisy co-workers (those who did work, you know) and spending two hours sweating and failing to solve problems. 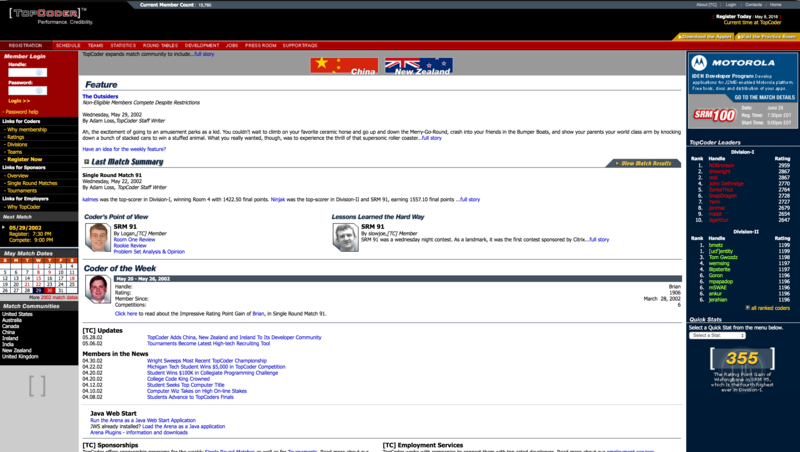 This was back in 2004, which kind of makes me a living fossil, and explains why we could place signs on top of our big, CRT monitors! By today most of us still write code, and work for many different companies (and keep at least a mention of Topcoder in our resumes), and are still friends. Those happy days! Next one is more like a moment. I was a writer for some time, not too long. Coming up with a 1000ptr Div1 problem the hardest thing my brain could think of. The day “my” SRM was held, I was totally unsure: are my problems totally trivial? Or impossible? The moment system tests passed, and I saw exactly 6 correct solutions to that problem and everyone commenting our solutions from Petr, tomek, Eryx (my own big heroes at that time) is still a vivid memory! There are really many more awesome moments. 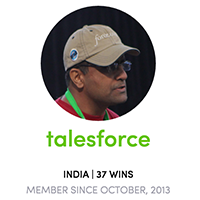 I am very thankful to Topcoder and its community for so much fun and learning. 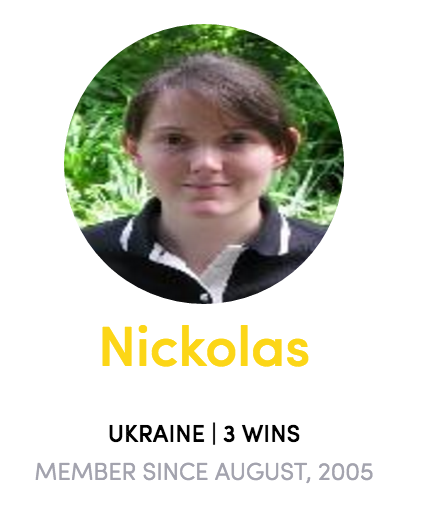 My favorite memory at Topcoder is being accepted as a problem writer. My first room win in SRM 287 (the 12th SRM I took part in) was a particularly exciting moment. Back then the problems were much easier than they are now; Div1 Easy required to solve a set of two linear equations; basically just check some cases, which I spent over an hour at and still missed some corner case. 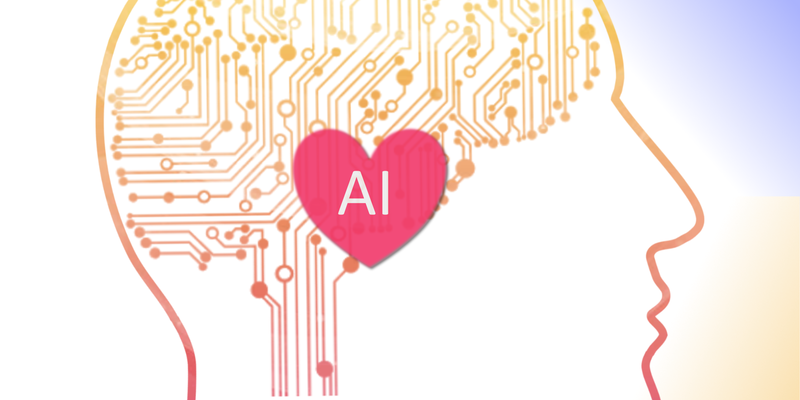 But Div1 Medium was a most lovely math problem MooresLaw, to be solved in four lines of code with a single special case. I noticed this case immediately; but most other people didn’t. So the challenge phase was quite a bloodbath; only three people in the room had any problems survive (me included), and I got 6 successful challenges (all with a single test case), getting a 15-point lead over a red guy with fewer challenges. Also placed 21st in division, one of my highest placements ever. 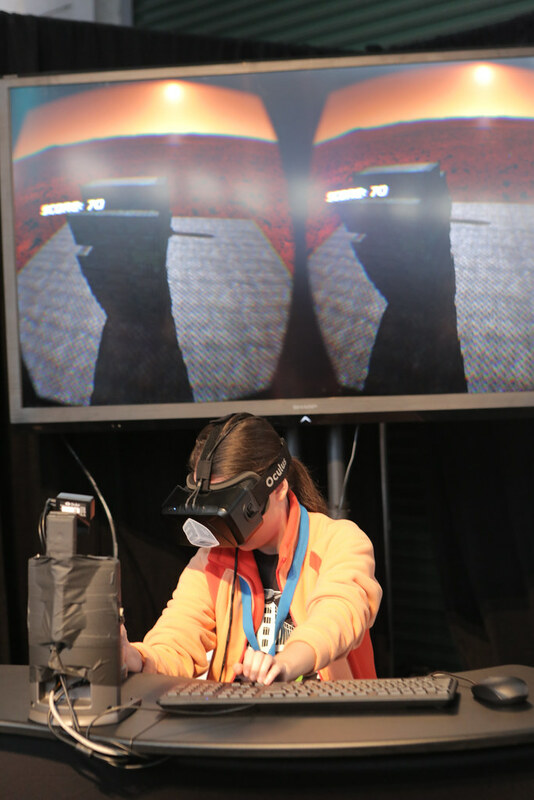 I have also had many fun experiences at the Topcoder Open and I’m not sure whether to choose seeing the white tiger cubs at Mirage zoo at TCO 2010, a night ocean swim at TCO 2011, or playing this 3D game at TCO 2014. Mediafly – NC Mobile Application UX Design Update was my first challenge and I won it. 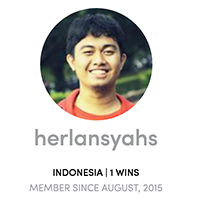 I did the challenge using a low-spec netbook without prior experience in mobile app design. I don’t own iPhone/iPad so I didn’t even know how the real UI/UX experience on iOS was like. 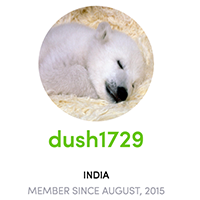 I got lucky and I became the design rookie member of the month for 2015. My favourite memory was attending TCO 15 India which was held in my college. 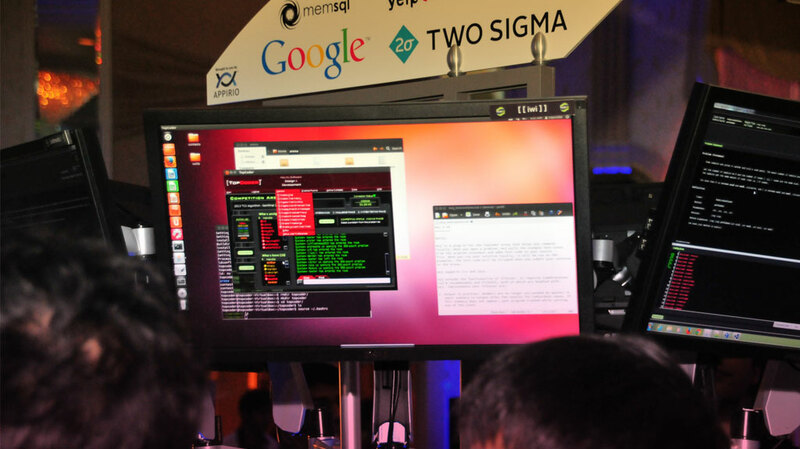 It gave me goosebumps while watching my country’s best coders competing! 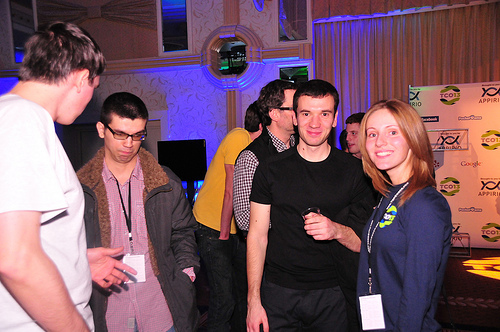 Hopefully you have enjoyed reading some of the most memorable Topcoder Community experiences. We truly value each of our members and love seeing the work that has been accomplished over the years. We are not yet done growing however and I look forward to seeing all of our members prosper in all of their endeavors at Topcoder. We will see you at the 2 million members mark! Robots will be able to do everything better than us. That’s what Elon Musk said at the 2017 annual National Governors Association summer meeting….